Sure, the Credit CARD Act was a step in the right direction. We all have a little more consumer protections than we did before. But as we've seen too often, when Washington tries to fix our problems, the legislation gets watered down to the point where the language is, well, wishy-washy at best. Here are just a few of the areas where the vague wording of the CARD Act gives credit card issuers a little too much wiggle room. Many consumers think that the law protects them against rate hikes. This is true, but only to a point. You're only protected during the first year of a new account (with a few exceptions, such as variable rates that are tied to an index). But what about that $2,000 balance you have on the card you've had for three years? The CARD Act prohibits retroactive rate increases on existing balances. But your rate on that card can increase "significantly" on your future purchases as long as you're given 45 days' notice. If you're more than 60 days late on a payment, the penalty rate kicks in. According to a recent study by The Pew Health Group, the median penalty interest rate is 29.99%. Interest expense will rack up pretty quickly at that rate. Starting on August 22, issuers are supposed to review a cardholder's rate increase after 6 months of timely payments. The law states that the card issuer's review must involve factors such as market conditions and creditworthiness of the cardholder. The issuer is supposed to reduce the rate if you've made six consecutive payments "on time." Keep records to show the exact dates you're making payments. This language leaves a little room for issuers' shenanigans, so expect to see some creative maneuvering when it comes to backing off penalty rates. The legislation requires that students under the age of 21 can't qualify for a card without a co-signer unless they show they have enough income to cover debts. When we asked card issuers to clarify what "adequate income" means, they declined to get specific. But if you can't show show steady income (not just from summer employment), you most likely will need a co-signer to get a credit card. The good news is that you probably won't be standing at the cash register when you find out your card has been discontinued. You'll get notified in the mail. How much notice? No one is totally sure. It's not clear that this falls under the 45 days' notice requirement of the CARD Act. When we asked card issuers this question, answers were mixed. A few issuers said, "Yes, this is covered under the CARD Act so the cardholder will get 45 days' notice." But others suggested that the law isn't clear about this specific circumstance. They all seemed to agree that consumers should get as much warning as possible, so that's one positive thing to take from their responses. The CARD Act states that issuers can't apply universal default. This means that your card issuer can't raise your interest rate on a specific account just because you were late on an unrelated account. But there's some universal default-type language that's still suspiciously present in a few card offers' "Terms & Conditions." When considering on offer, be sure you read the section that states what triggers the penalty APR. The usual suspects are late payments, exceeding your credit line, or making a payment that's returned unpaid. 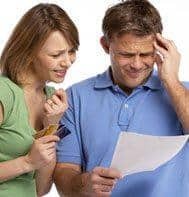 But look for something extra that includes the afore-mentioned situations plus stipulations similar to this: based on information in your credit report, market conditions, or at any time for any reason. The CARD Act requires issuers to apply payments that exceed the minimum payment to the higher balances first. But here's a catch: Creditors can still put the minimum payment towards the balances with lower interest rates. So you might think you're paying down that $3,000 balance with the 19.95% APR, but the minimum payment you made is actually being applied to the $1,000 balance you have with the 9.99% APR. The card issuers have lost revenue due the legislation, so it was predictable that added fees would be part of the "unintended consequences" that accompanies this kind of law. You've already probably seen some of these: annual fees, over-the-limit fees, and foreign transaction fees. One of the more egregious fees has been the inactivity fee. But the next phase, starting on August 22, will ban these fees. For starters, pay your bills on time. Even though some of these tactics are probably illegal at this point, it's always better to be proactive and prevent the penalty APRs from being an issue in the first place. Be your own consumer advocate by making sure you read every piece of mail you receive from your issuers. If you feel you've been unfairly treated--either due to interest rate changes or any other type of fee that looks out of line--contact your issuer immediately and stand up for your rights.